Many times I'm asked questions that are health or medical in nature and I always refer these questions to an allergist. 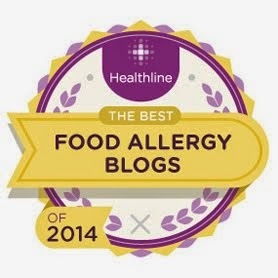 Of course, you should always speak to your own doctors about your specific needs, but I want to introduce you to a terrific allergist who has his own web site and book that answers many of the questions we have about food allergies: Dr. Robert Wood. 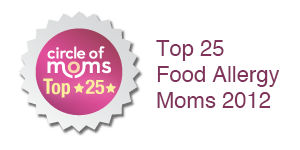 Dr. Wood is a world-renowned allergist and a medical advisor to the Food Allergy and Anaphylaxis Network. He is also a lifelong peanut allergy sufferer. His best-selling book "Food Allergies for Dummies" combines medical knowledge and facts with tips handling any food allergy. He also has written helpful articles that educate others such as one that addresses commonly-held beliefs and myths about food allergies. 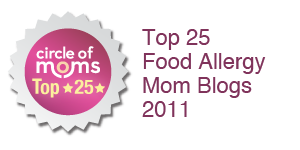 Food Allergies for Dummies and Dr. Wood's web site have been two of my favorite resources over the years. If you don't own the book, get it. It's a great one to share with friends and family, too. As a parent I feel that I'm an involuntary "expert" on many of the lifestyle issues that affect us all. However, Dr. Wood's website is the one I turn to time and again for solid medical facts about nut allergies. Food Allergy Awareness Week is all about spreading awareness and accurate food allergy information. I hope you'll check out this site and share it with friends and family members.